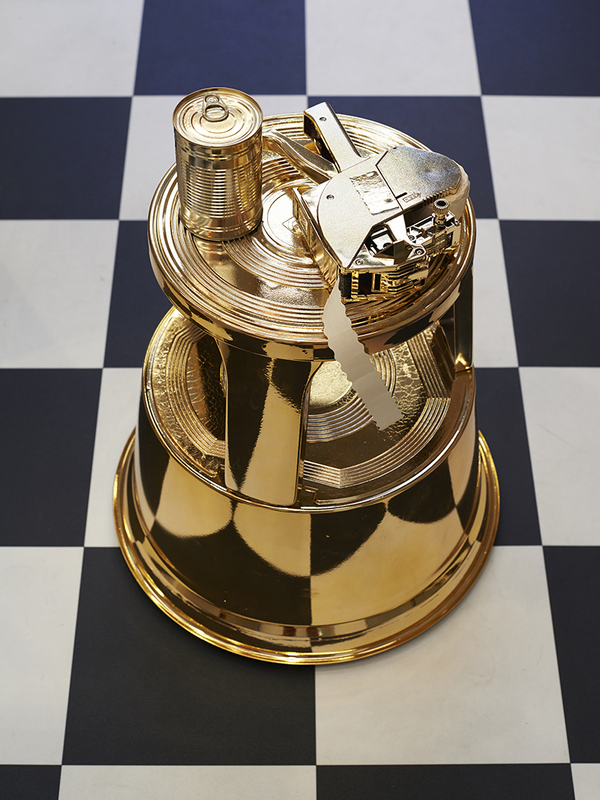 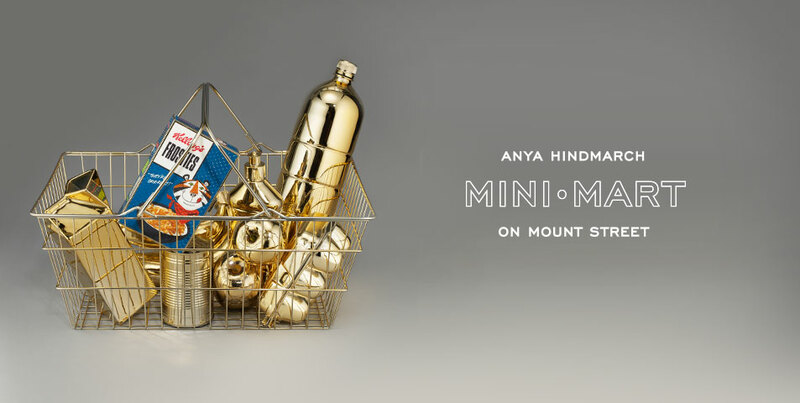 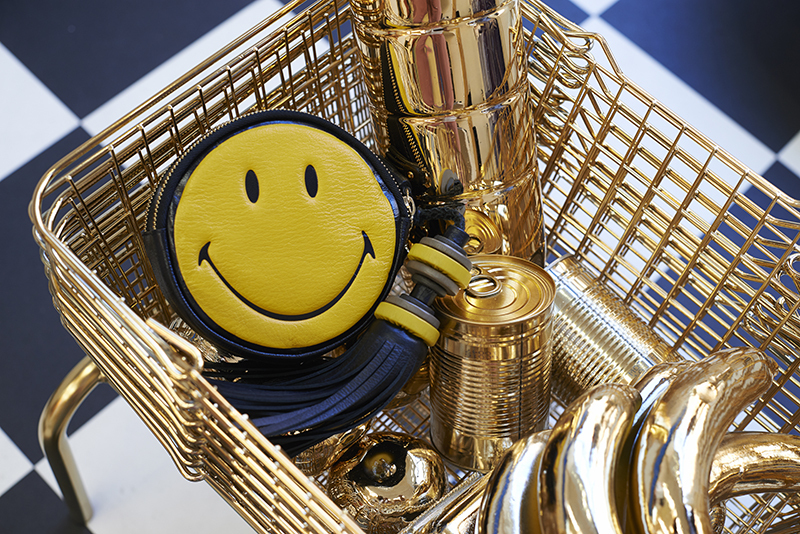 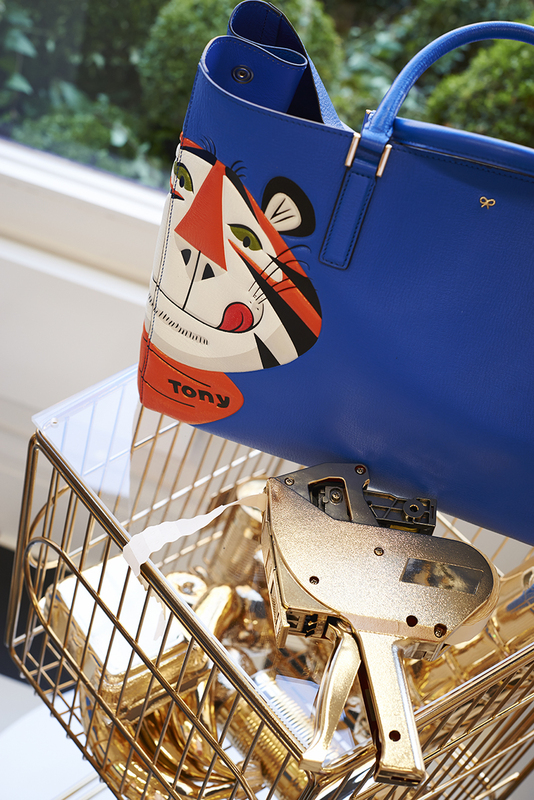 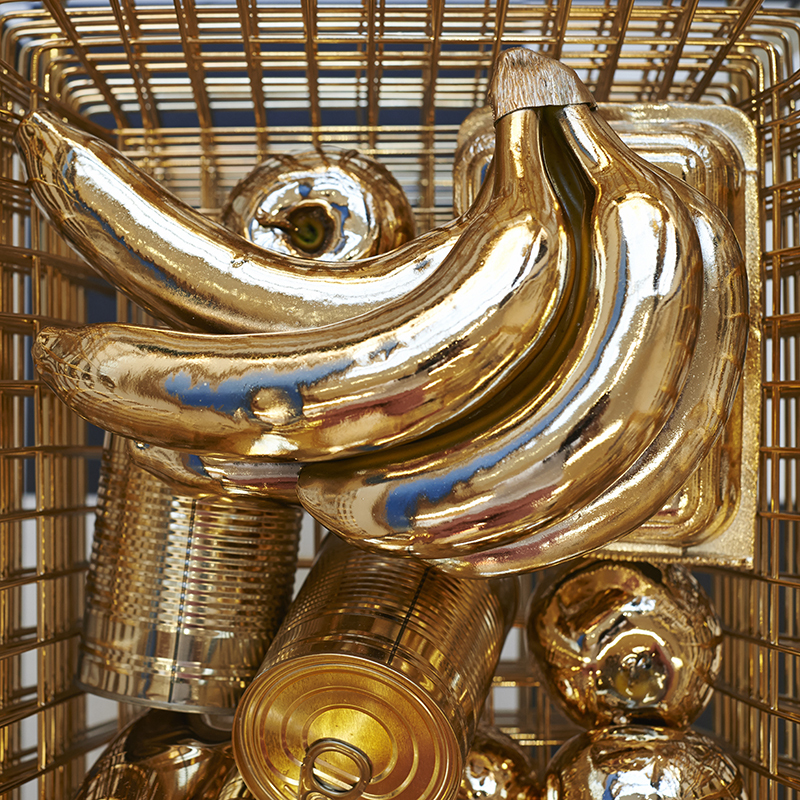 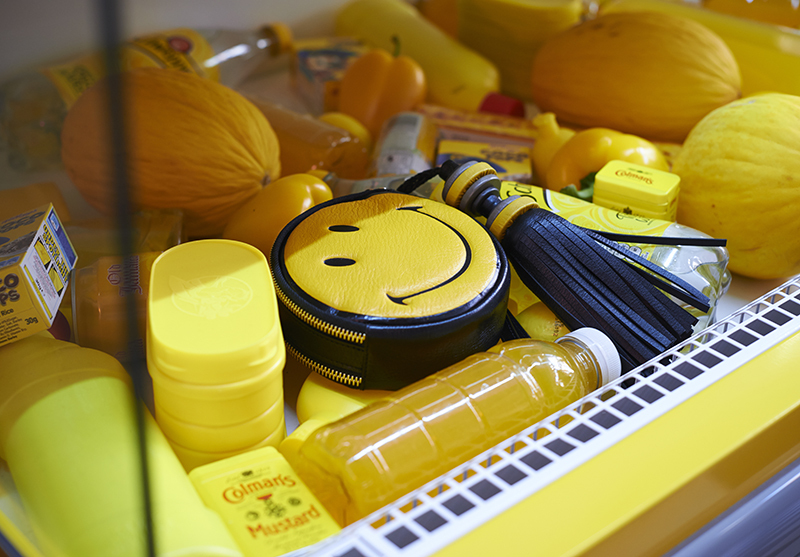 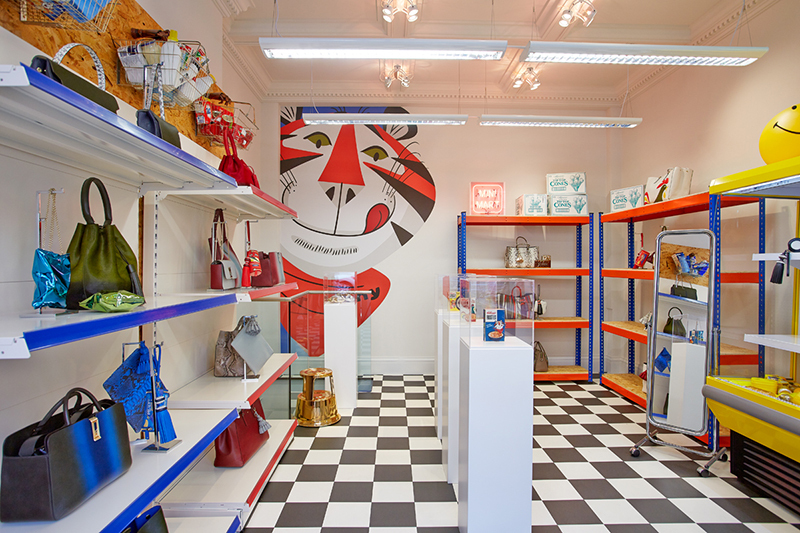 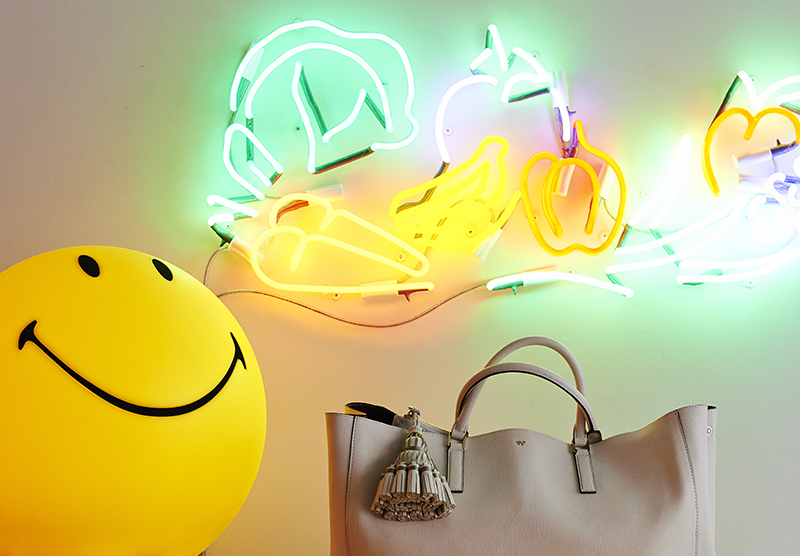 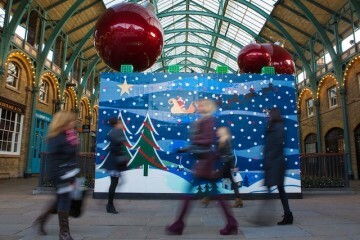 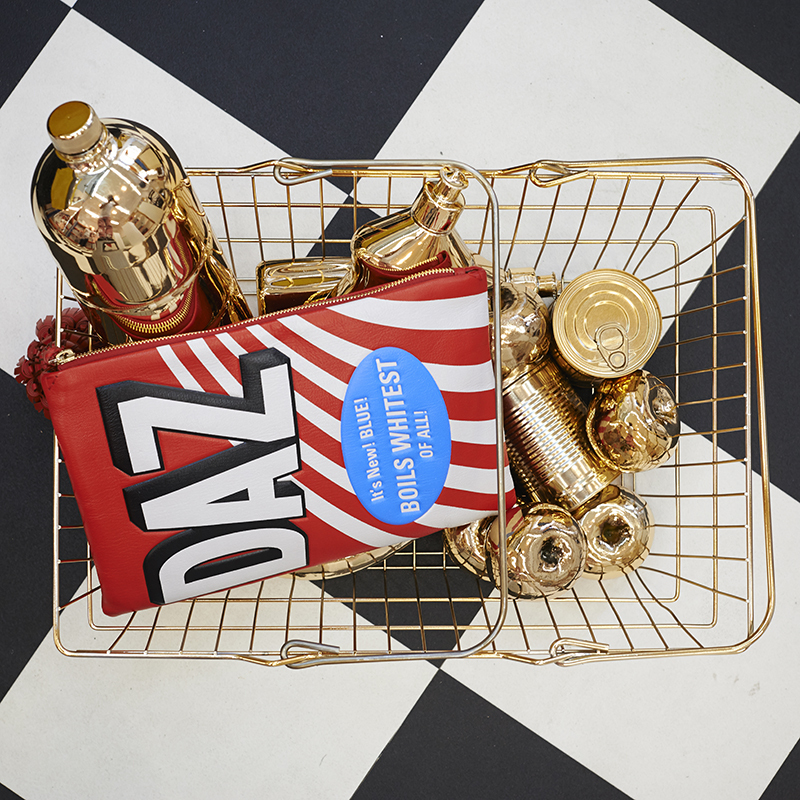 The Anya Hindmarch Mini-Mart is now open at 99 Mount Street, London. 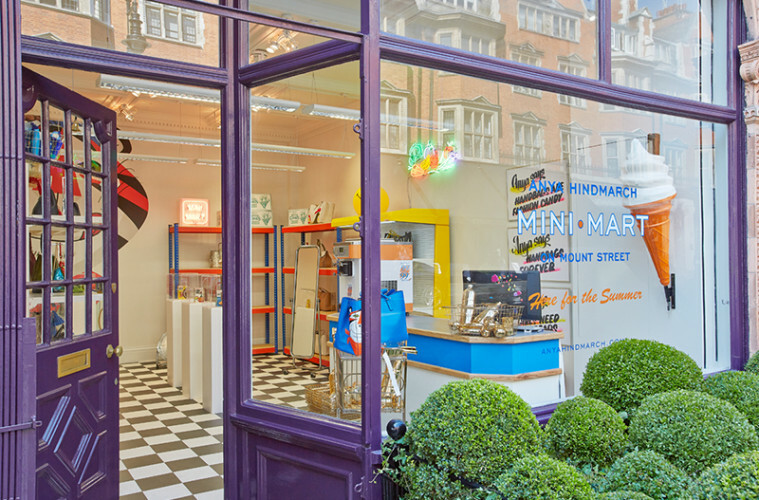 The designer who is known for mixing luxury with mass-market themes, launched her latest collection, Counter Culture with a temporary shop space. 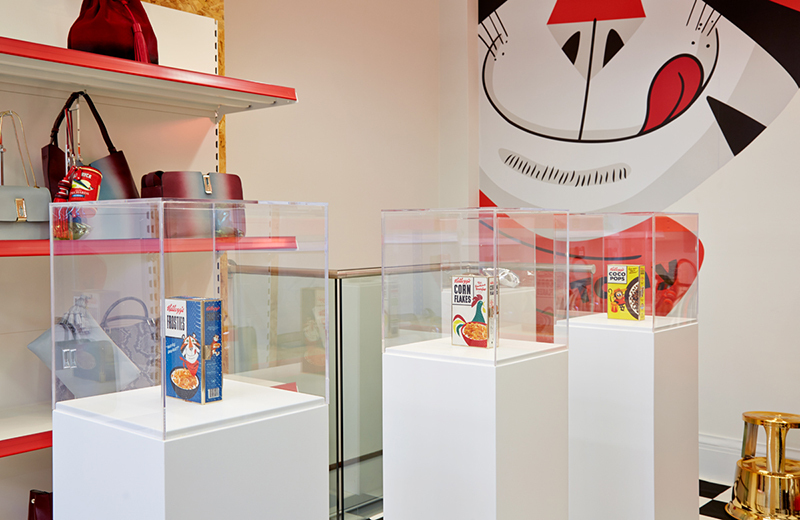 With Hindmarch’s new handbag collection featuring icons from Kellogg’s cereal boxes, including Tony the Tiger – the advertising cartoon mascot for Kellogg’s Frosties it was no wonder her creative team decided to showcase them in a space that combines bright neon signage and graphics with original shop fittings – as well as ’99 ice creams.